For many people, being a nature lover and being an animal lover go hand-in-hand. 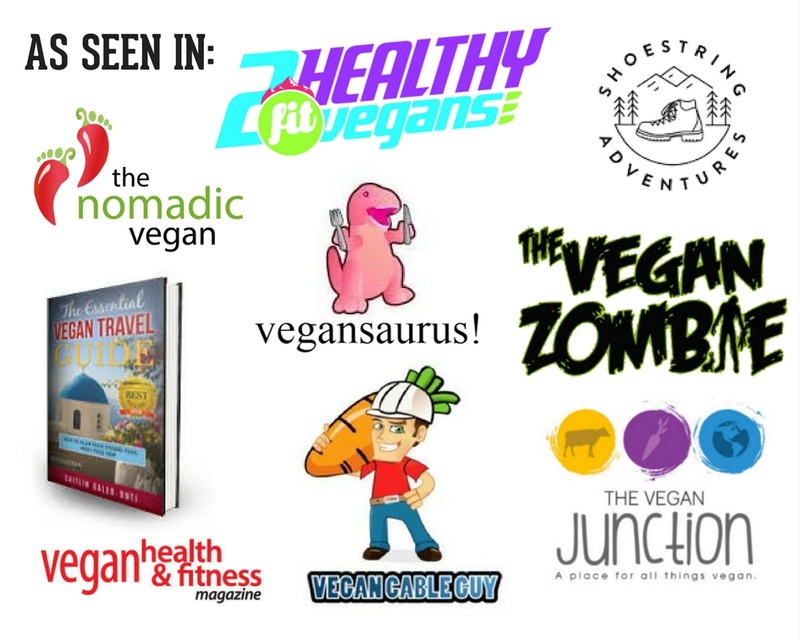 No wonder there are so many vegan outdoor adventurers! 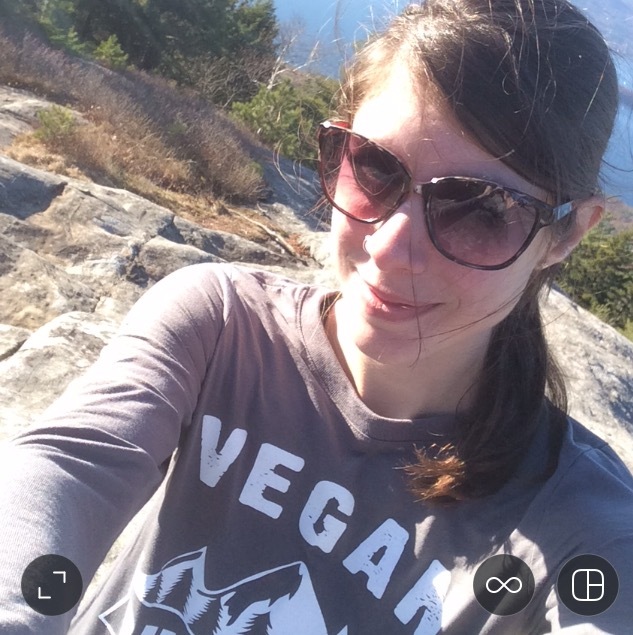 If you’re new to veganism or new to exploring the great outdoors, here are some starter tips on what to bring with you. Water is an obvious necessity and is unlikely to be overlooked. What is more likely is not bringing the right amount. Your body needs at least one ounce of water per pound of body weight per day while camping, and even more if it is hot outside. Those new to camping may think that drinking from a lake or stream is a perfect way to stay hydrated. If you have nothing else to drink, drinking from a body of water is better than suffering serious dehydration but drinking water from these sources is not ideal. Waterborne illnesses are a real issue and as clean as the water might appear, it is always better to bring your own water along. One of the best ways to carry water while camping or hiking is in a Camelbak. Camelbak’s water pouches and drinking hoses are built for easy usage on the trails. Most packs can hold at least a day’s supply of water making them perfect for weekend trips as long as you can find a place to fill up every night. Snacks. We all love them and we need them the most when we are physically active. Trail mix is a great way to get an energy boost during your hike. 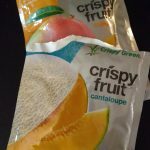 It can easily be put into small bags for day hikes and can be customized to fit your taste. Some good items to include in your mix are nuts like peanuts, or pecans, dehydrated fruits like banana chips, mango or apricot. Vegan chocolate chips never hurt either. You can find some ideas for trail mix here, here, and here. Or you can buy the premade stuff. Next time you go camping make sure to start the day with a healthy breakfast. You do not have give up a healthy vegan breakfast just because you are outside getting closer to nature. Plus, while camping your body will burn between 150 and 300 calories per hour making it extra important to start the day with a good breakfast. Some popular vegan breakfast foods that are easy to make while camping are oatmeal, biscuits and fruit with a glass of orange juice or water. If you are on an extended trip other good options include granola bars, jerky, small cereal boxes or breads prebaked at home. Bugs. No one likes them. Not even vegans. At least, not the biting kinds. Mosquitoes, spider and flies can quickly put a damper on a camping trip. Unlike the average camper, vegans often struggle with guilt of rage squashing in addition to being itchy. 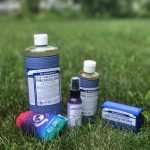 Vegan bug sprays free of animal byproducts, animal testing, deet and alcohol may seem like a tall order to fill but there are actually a lot of options that fulfill all of these criteria. Pure Spa, BEAT IT, and Sam’s Natural Campn Stick are just a few such products. You can even make your own. Our favorite homemade bug spray can be made by combining Witch Hazel, Sunflower Oil, eucalyptus, rosemary, clove, and lemongrass oils in a small spray bottle. Other good ways to keep bugs away from your campsite are to keep all your food in airtight containers and properly dispose of your garbage. Every experienced camper knows that it is essential to take care of your feet. Poor socks can cause blisters and infections that will leave you in pain and may even require a trip to see the doctor. Make sure your feet are protected before your next camping trip by investing in a few good pairs of camping or hiking socks. There a few brands, like Darn Tough and Injinji, that make high quality vegan hiking socks. These socks are different from your everyday socks because they have an increased thickness, extra padding and can wick away moisture which is good for preventing blisters. Vegan Graham Crackers? Check. Vegan Fair-Trade Chocolate? Check! Vegan Marshmallows? Check! With all your basic needs met in the six items above, you’ll be able to relax and enjoy the company of your fellow campers while happily living your values. 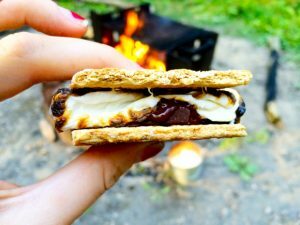 What better way to celebrate than devouring a deliciously, messy vegan s’more? 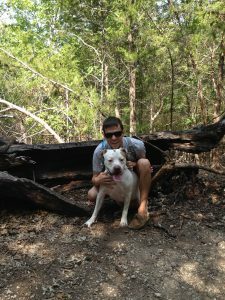 Anthony is a lifelong camper, hiker and outdoorsman. 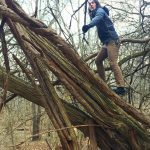 Living in Texas has given him an untold number of opportunities to explore nature and live a healthy life. Find out more about camping and his adventures at Sleeping Bag Dirt.